Life is not perfect, and neither am I. I want to get real and talk about all the issues we know we deal with! And add in some meaningless silliness while I'm at it. Avoiding the peak hour rush or the crazy morning dash, I can work when it suits me and can maintain a balance whilst earning an income. Blog of a busy working single parent. The Cabinet Vac is perfect for moms who need to clean up quick messes with ease. It has everything about my challenging, yet fun journey as an Asian modern mom, opinionated wife and passionate businesswoman to a mixed-parentage hubby. An up close look inside the insane, dysfunctional world of foster care from the eyes of a foster mommy. I'm a 23 year old mother of two with strong opinions, a big heart and an even bigger mouth. Learning never ends! Find out more here. I am a frazzled wife, mother, and homemaker who feels like she is always on the go. 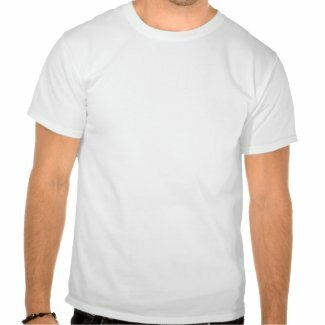 I created this blog to share my life, my vents, and daily observations. The life and journeys of a single, working Mom who also happens to be a 911 Emergency Medical Dispatcher. Stress- Angst - Humor - We Got It All! 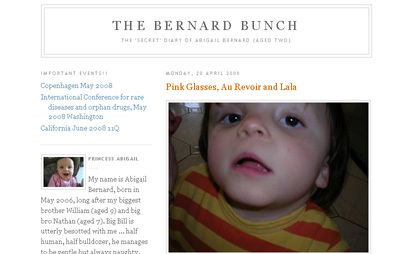 The Bernard Bunch - The 'Secret' Diary of Abigail Bernard (aged two) A blog about the life and times of a little two year old French-English girl growing up in a French village at the foot of the Alps. Despite her disabilities caused by unlucky genetics, Abigail is a stylish, classy little Princess, who engagingly describes the joys of growing up with her two boystrous brothers and many friends and family members (with the help of co-author "Mama"). Created initially to enable family members scattered across the globe to keep tabs on the delicate health of this little girl, the blog has become a real point of reference for Abigail's family amd also for parents of children with similar disorders (Jacobsens Syndrome, West Syndrome, Paris-Trousseau blood disorder).